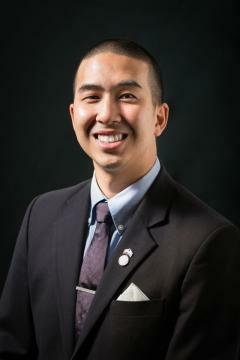 Kevin Mai is a third-year student pharmacist at Western University of Health Sciences College of Pharmacy. Before pharmacy school, Kevin graduated from University of California, Irvine with a bachelor’s in Chemistry. Kevin has been actively involved with APhA-ASP, locally and regionally. He has served as chapter president and as regional delegate for region 8. Additionally, he serves on a grassroots committee within his local association to promote pharmacy advocacy efforts within Orange County. Kevin is actively involved in many organizations such as competing in the local AMCP P&T competition and serving on the California Society of Health-Systems Pharmacists Poison Prevention Committee. He was on executive board for Kappa Psi Pharmaceutical Fraternity and the American Geriatrics Society. Kevin was inducted into Phi Lambda Sigma this past fall and continues to be passionate about developing leadership and advancing the profession. Ultimately, Kevin’s passion lies in education and he hopes to pursue a residency upon graduation. He will continue to be involved with APhA-ASP and APhA to help further the association’s mission.